You will work in a fascinating field, as part of a motivated, dynamic team, within the world of fashion, jewelry and accessories. 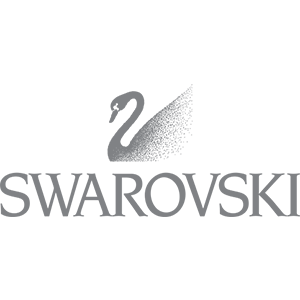 Exceptional Swarovski Sales Consultants represent the company as Brand Ambassadors providing the Ultimate Consumer Experience along with maximizing the overall store sales opportunities and creating a “Crystal World” for all new and existing Swarovski customers. Sales Consultants are accountable for individual performance. Developing authentic relationships with the consumer by assessing their needs, making personalized product recommendations, and creating a luxury experience. Promoting the features and benefits of the Swarovski Crystal Society membership to all consumers and meeting established monthly membership sales goals. Maintaining a flexible work schedule including evening, weekend and holiday availability. Maintain the spirit of ownership by demonstrating strong problem-solving skills. Opening and closing the store. As an ideal candidate you want a strong, expressive personality with a stylistically appropriate and professional manner. The ideal candidate will also be able to get the best out of the world, metrics-driven, poised and confident. • Be a key part of a global world-class luxury brand. • Work in a 120-year-old family run organization that feels local, but has dynamic global reach. • Come sparkle in one of our many world-wide businesses housed here in the United States. • Experience a strong sense of belonging as we proudly work together. • Whether you are just beginning or celebrating an existing career, we invite you to make your own mark on Swarovski’s rich history. Does this sound like you? If so, we look forward to receiving your online application. Swarovski is committed to Equal Employment Opportunity for all employees and will take Affirmative Action in those appropriate employment situations. All employment decisions will be made without regard to race, color, religion, age, national or ancestral origin, gender, sexual orientation, marital status, citizenship status, veteran status and disability.